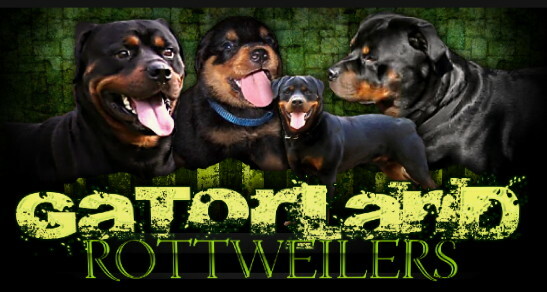 I am a breeder of German Rottweilers located in Fort White, FL. My property is on a very private 16 acre farm. 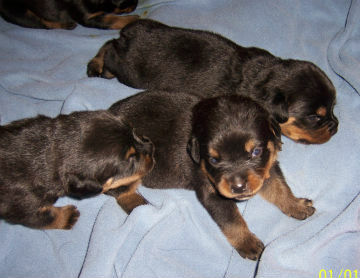 My goal is to produce very high quality pups that includes intelligence, temperament and the ability to be easily trained. 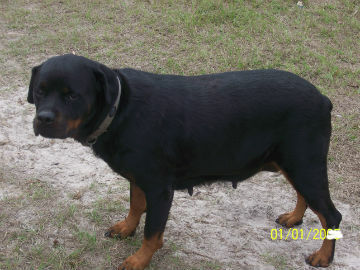 Benskin's 2 Hott 2 Handle Dodger, my stud dog, is a very handsome male with an A+ German champion pedigree. He was born on September 14, 2012, very friendly and his temperament is awesome. He is a V Rated International show champion and has been fully obedienced trained. I currently have 3 females at the farm. 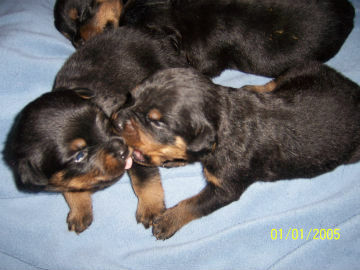 Windego's Tapow, whelped February 16, 2012, is a V Rated National and International show champion. 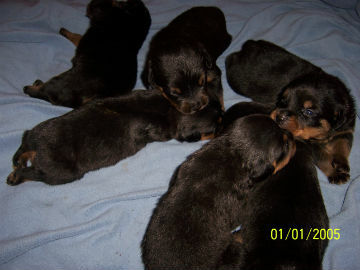 We look forward in offering the best champion bloodlines to our customers. 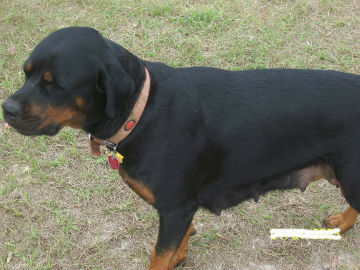 Hazel von Golden, whelped on April 8, 2012, she is very nice and the friendliest rottweiler you will ever meet. Madison von Gatorland, whelped May 29, 2015, she is beautiful and very energetic. Daughter of Hazel; she is the future of our kennel. Fort White, FL. 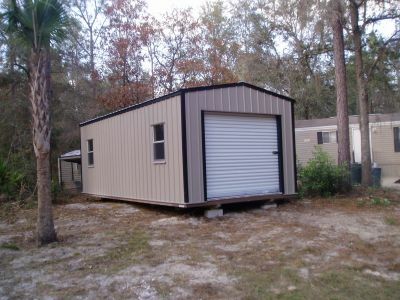 Location: 17 miles south of Lake City, FL. and 25 miles northwest of Gainesville. Route 27 goes right through town. The other major highway in the area is Route 47. Neighboring towns are High Springs and Branford. All of these dogs are A.K.C. registered. 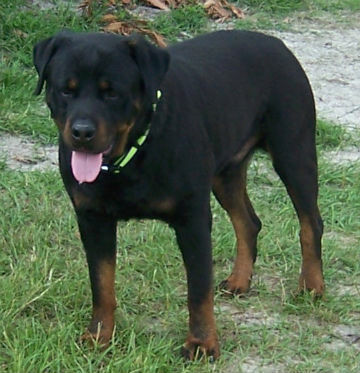 I breed for intellegence, temperament and the best German bloodlines possible.